Our first woman composer of the year, with her String Quartet in B flat appearing in our Henleaze concert on 20th January (and reprised at Nailsworth the day after), was Maddalena Laura Sirmen. We will also be performing her Quartet in E at Henleaze and Nailsworth in May, and her Violin Concerto No.3 (played by Natalia Lomeiko) will close our first St George’s Notes for Women concert on 28 April. Click here for concert details. Maddalena Lombardini was born in Venice in December 1745. At the age of seven, she was admitted to the Ospedale dei Mendicanti. The Venetian Ospedali were charitable institutions caring for the sick and the elderly, and housing orphans and the poor, but they were also musical conservatories (Antonio Vivaldi famously taught at the nearby Ospedale della Pieta earlier in the century). Although she was born into a noble family that had fallen on hard times, and despite none of her family being musicians, it appears that young Maddalena was accepted into the Mendicanti primarily on the basis of her musical talent – singing, playing the harpsichord, and, particularly, as a violinist. With a prodigious talent, and an ambition to play the violin professionally in a musical world almost entirely dominated by men, Maddalena was sent to Padua at age 14 for private lessons with the renowned virtuoso and composer Giuseppe Tartini (she became his favourite pupil). At age 21, having married a fellow violinist – Ludovico Sirmen – she was allowed to leave the Ospedale, and the pair almost immediately set off on a highly successful European tour, playing together in Faenza, Turin and later in Paris, where Maddalena’s six string quartets were published in 1769. The partnership was short-lived, and by the end of the following year, Ludovico had returned to his home town of Ravenna with their infant daughter Alessandra, and had started a relationship with the Countess Zirletti. Maddalena, meanwhile, had made her way (via concerts in Liege and Amsterdam) to London. Her debut there was a solo concert at the King’s Theatre in January 1771, and she went on to give many performances of her own works over two successful seasons, becoming a celebrated performer and composer. For her third London season, Maddalena switched from the violin to become an opera singer. Charles Burney, who had previously met her in Italy as a violinist, was not convinced about the change of career, writing that “having been first woman so long upon her instrument, she degraded herself by assuming a character in which, though not destitute of voice and taste, she laid no claim to superiority”. 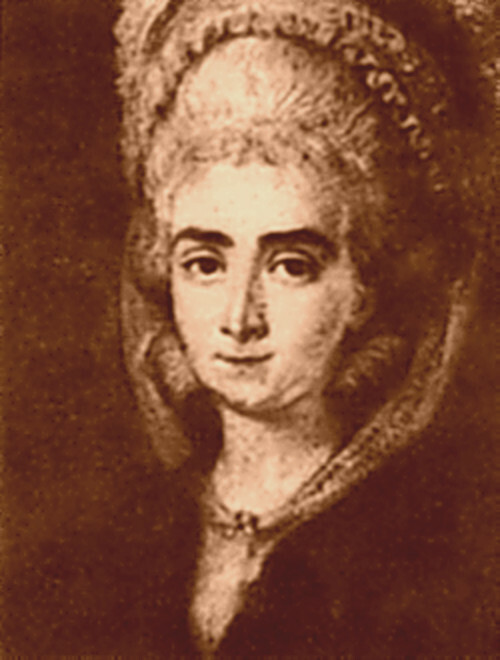 Nevertheless, over the next few years Maddalena appeared as a singer in Italy, Dresden and St Petersburg. Although she occasionally performed as a violinist during this period, by 1785 musical tastes had moved on and she was being criticised for her old-fashioned style. Maddalena had maintained control of her finances throughout her career and was by now quite wealthy. She retired from performing and returned to Venice, where she lived with her long-time friend Giuseppe Terzi, who had been her companion throughout her touring career. They adopted a daughter, Angela Maddalena, around 1795. Maddalena died aged 72 in Venice on 18 May 1818, followed nine days later by Terzi. Most of Maddalena Sirmen’s surviving works – quartets, trios, sonatas, duets and concertos – were published before she was 30. They are accomplished works that embody the spirit and character of the early Classical style. Some may have been written during her time at the Ospedale, and were almost certainly for her own use. They were published in Paris, London, Amsterdam and Vienna, sometimes several times, reflecting her success and popularity during her lifetime. The String Quartets are early examples of the genre, appearing less than ten years after Haydn’s Opus 1 set. They each consist of two movements, and are notable for their interesting inner parts. The Violin Concertos are in a traditional format, with a first movement in an embryonic sonata form, followed by a binary-form slow movement and a rondo finale. 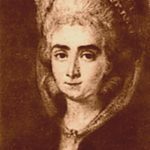 Although Maddalena Sirmen is little known nowadays, and her works are rarely performed, she was a prominent and significant musician and composer during the development of the Classical style, and one of very few women during this period who could make a living from her musical talent. We are looking forward to performing several of these lively and enjoyable works during 2018.